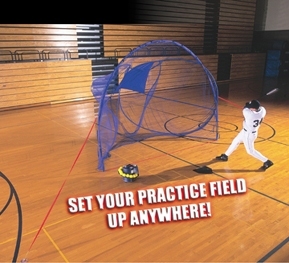 We can supply a wide range of JUGS Batting Cages and JUGS Dura-Tech nets. 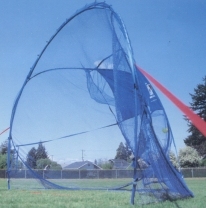 Eleven different sizes of cage nets can be supplied in up to four different strengths of netting. 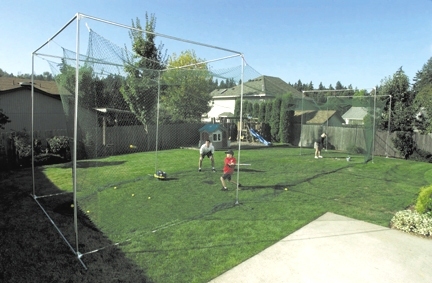 We can also provide a large size, portable, free-standing batting practice net. 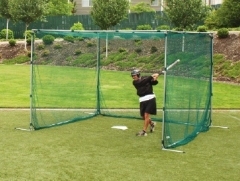 The JUGS Multi-Sport Instant Cage is a free-standing portable cage using Quick-Snap technology allowing fast assembly and disassembly. 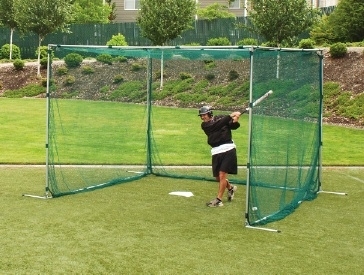 The JUGS Instant Screen is a large 7' by 8' pop-up batting net which can be quickly and easily set up anywhere. 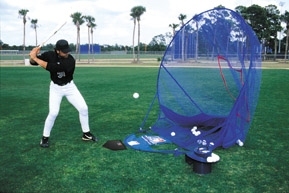 The JUGS Instant Backstop is a large 12' by 9' by 6' pop-up batting net which weighs 6kg and can be quickly and easily set up anywhere. 372B St. Albans Road, Watford, Herts.